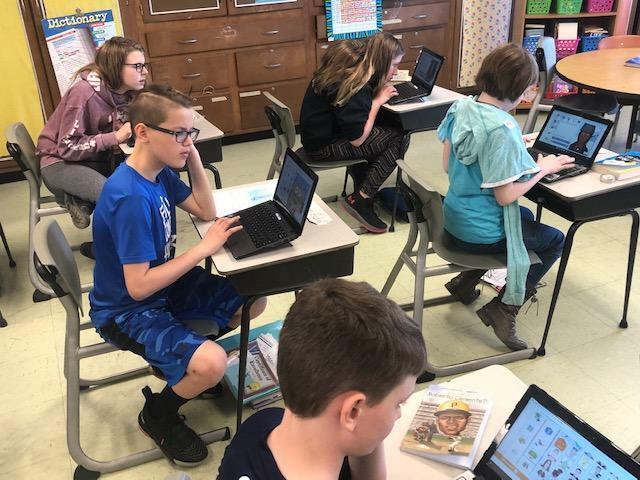 Students in Mr. Rodgers' 5th grade reading classes recently did a genre study on tall tales using technology integration. Students read several tall tales in their Wonders series and discussed what makes the tall tale genre unique. Students wrote their own tall tale stories and created an avatar of their self-created character on the chromebooks. While learning author's point of view, their tall tale stories were written in third-person. Then, they wrote summaries from the first person point of view, and these summaries were narrated by their avatar character. Some students chose to use their own voice for their narration, while others chose to use a computer-generated voice. The students were very innovative while writing creative stories and developing characters through the technology!